Mel is a scribbling SoCal mailman who makes a living getting "scammed" by Amazon, as Donald Trump so poignantly put it. Behemoth. Juggernaut. How many words meaning massive are available in English to describe what Amazon.com has become? Truly, when the company picked its corporate name in 1994, it picked a prophecy - its namesake South American river having the largest discharge in the world. Amazon.com Inc. is now the biggest retailer in the world, having grown from humble beginnings in CEO Jeff Bezos' garage to its current status of 556,000 employees and market value of one trillion dollars. Although one can certainly admire Jeff Bezo's energy and willingness to take risks with his revolutionary business model, one cannot deny that his company has thrived by devouring competitors, first as a tiny piranha swallowing sharks, and now as a shark consuming older, much more sluggish sharks. Directly or indirectly, Amazon has put many hidebound brick and mortar retailers out of business. Furthermore, when Amazon finds that a business partner cannot efficiently perform its contracted service, it grows that service into another tentacle of its already octopus-like business model. In other words, it starts doing what the business partner was doing, first tentatively from scratch, then with increasing efficiency. So when Bezos woke up Christmas morning 2013 to find his stocking filled with lumps of coal instead of sugarplums from happy Prime customers, he took action. 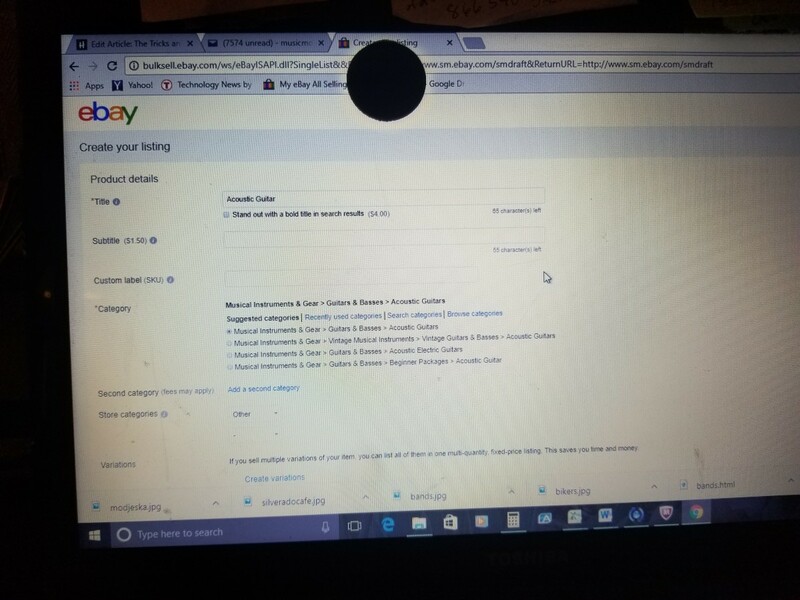 Shipping partner United Parcel Service (UPS) had failed him disastrously. 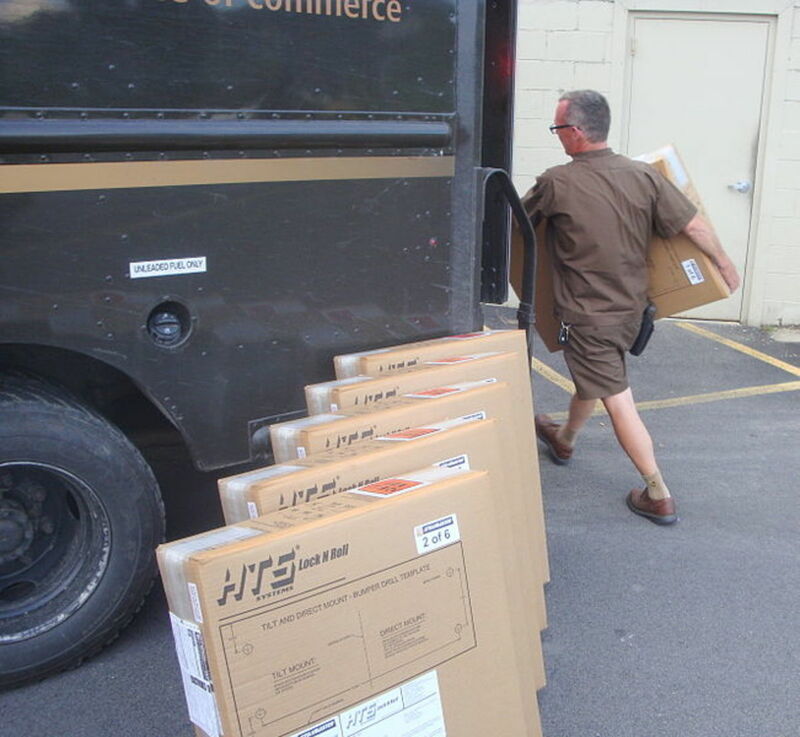 A UPS spokesman admitted "...the volume of air packages in our system exceeded the capacity in our network." There were millions of undelivered Prime promises because of this breakdown, millions of sad children searching futilely for gifts in the empty air beneath Christmas trees. 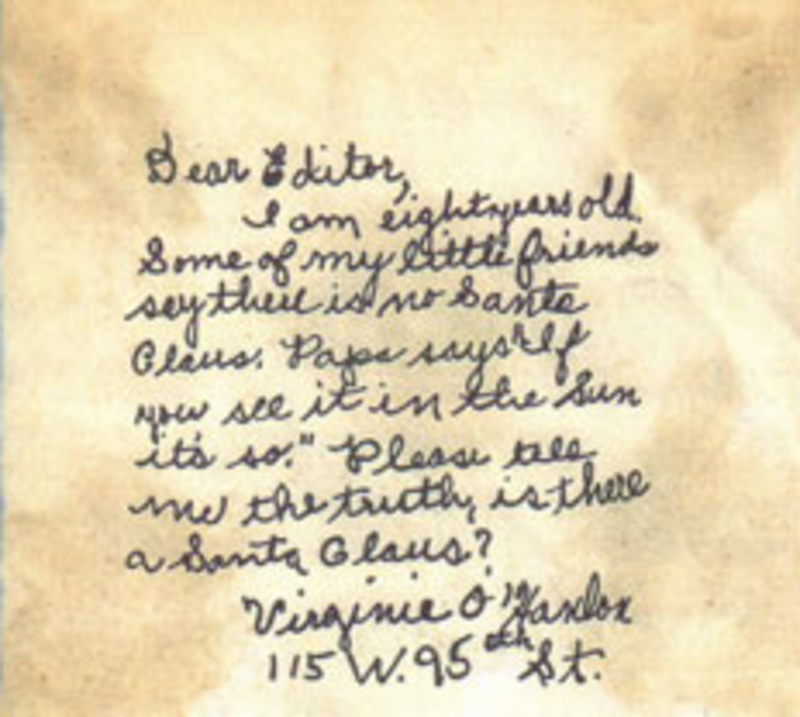 No Virginia, there is no Santa Claus, parents were forced to admit to disillusioned tykes everywhere. As a stopgap measure, Amazon took advantage of the United States Postal Service's (USPS) every door delivery capability and low rates. Simultaneously, mighty morphing Bezos was a lizard growing a new tail - a parcel delivering tail, generated with the purpose of eliminating dependence on sketchy delivery partners. To avoid a repeat of the disastrous Xmas debacle, Bezos heretofore intended to deliver his parcels himself. Clearly Amazon's entry into the parcel delivery business, the seriousness of which is marked by 20,000 delivery vehicles purchased, represents a threat to traditional transportation companies, including United Parcel Service and the United States Postal Service. The key to survival for both of these organizations hinges upon which one trick pony can add more stunts to its repertoire. Will these humble carnival acts have enough to compete with the flashy three ring circus - complete with sword-swallowers, jugglers, and dancing elephants, that the Amazon roadshow has become? Can Big Brown Stick Around? Certain business experts downplay the effects an ugly divorce with Amazon will have on UPS, but this is not really the point. While true that only 7 percent of UPS revenue comes from Amazon - a healthy fraction but hardly back breaking, the more ominous portent for the transportation giant is that Amazon recently began directly competing with Big Brown, picking up and shipping business packages with its own transportation network. This service has long been UPS' bread and butter, but because Amazon is not undercut by the well paid, unionized work force of UPS, they can do the job much more economically. A Bloomberg article by Shira Ovide states the case clearly. "Amazon's ambition has been in plain sight for years. The company has built its own network of merchandise warehouses and package sorting centers. It enlisted its own airplanes and truck trailers to transport cargo." While Jeff Bezos throws up a smokescreen, intent upon disguising his intentions from worried shipping partners until he is ready to reel them in, the clear writing on the wall is that Amazon has become a technology company, a grocer, a space agency and a media conglomerate, so why not add shipping company to the resume, then skim off UPS customers for icing on the multi-tiered cake? Amazon has shattered the age old assumption that businesses should become the best in providing a limited range of goods and services, turning this doctrine upside down by seeking to be jack of all trades and master them all. Which of these competing models works in the modern world? Here's a hint - Sears was the gold standard in brick and mortar retailing. It's pre-Internet mail order business was once unmatched but it never adapted to e-commerce, so Sears is now in bankruptcy. In the same light, UPS has been the undisputed, largely unchallenged leader in the heavy package niche for decades. But now upstart Amazon, not playing by traditional rules, is the young, agile Goliath seeking to take down the old, arthritic one, making one wonder if Big Brown will join Sears as a museum relic, like the defunct Dodo or the dinosaurs? As mentioned in the introduction, UPS's failure to deliver one joyless Christmas was Amazon's Blue Origin launch into the parcel business. As Bezos and pals reinvented their company again, the United States Postal Service served as a temporary shipping arm. To prove its slavish devotion to this new alliance, for a few years the USPS carried out Sunday delivery exclusively for Amazon. The postal service seemed joined at the hip with its new partner - apparently the continued survival of a 240 year old institution now hinged only on keeping Jeff happy. Letter carriers were subjected to lengthy harangues about how they would all be on the unemployment line if Amazon lost faith. To appease Big Brother Bezos, late Amazon shipments were accepted, sorted and delivered well past their arrival deadline. 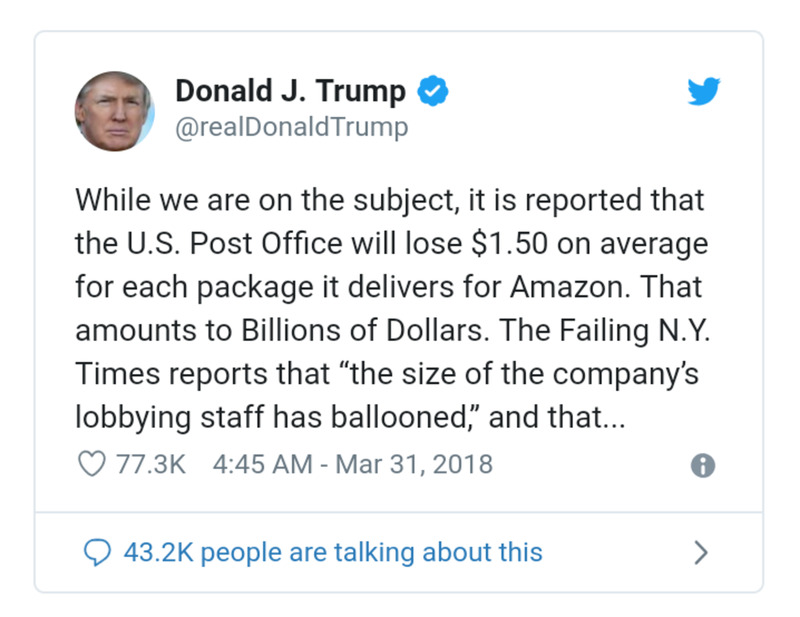 Meanwhile, as Donald Trump painfully but truthfully pointed out, Amazon revenue on the postal balance sheet was a much smaller line item than all the fuss and fury would merit. The predicted Doomsday of the Amazon postal pullout eventually occurred, but the withdrawal symptoms were not as agonizing as predicted. While there was a temporary downturn in USPS parcel volume, other shippers soon happily filled the void. Of course, postal employees are not singing Happy Days Are Here Again in the venerable old hallways of Post Offices throughout the country. The organization still suffers from serious financial difficulties, but Amazon's switch to its own delivery network has little or nothing to do with it. Here are a few reasons why the USPS will survive a showdown with the Amazon delivery network better than UPS. The USPS has alternative products to fall back on, such as passport revenue, PO Box rentals, business advertising and first class mail. While first class mail has significantly decreased in volume over the past decade, it remains the top source of postal revenue. Furthermore, this once-considered doomed service may be poised for a rebound, as widespread online identity theft scares people away from cyber transactions back to less-susceptible "snail mail." Postal Service shipping rates are much lower than those of UPS. In the past, a negative perception of postal delivery would cause shipping customers to bite the bullet and pay the higher UPS prices, but this attitude has now largely been dispelled. Postal scanning and delivery performance improvement, coupled with the fallout from Big Brown holiday failures, have markedly improved public trust in the organization. 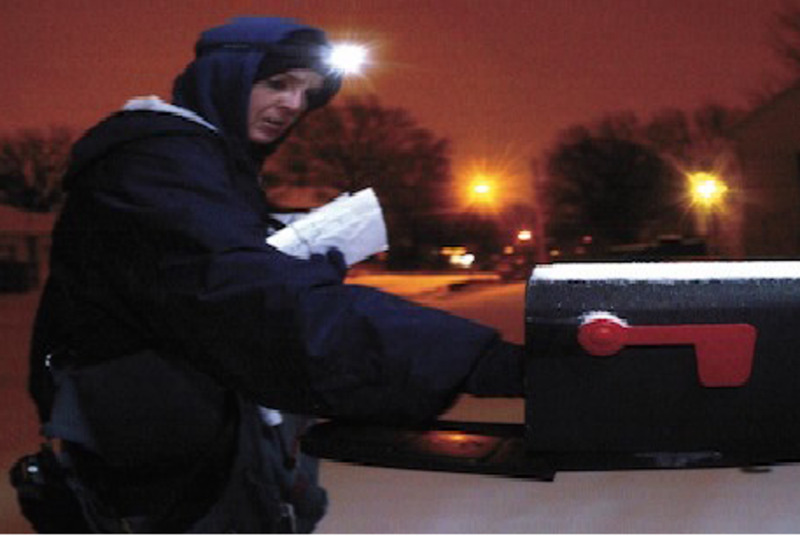 The USPS delivers to every door in America, six days a week. 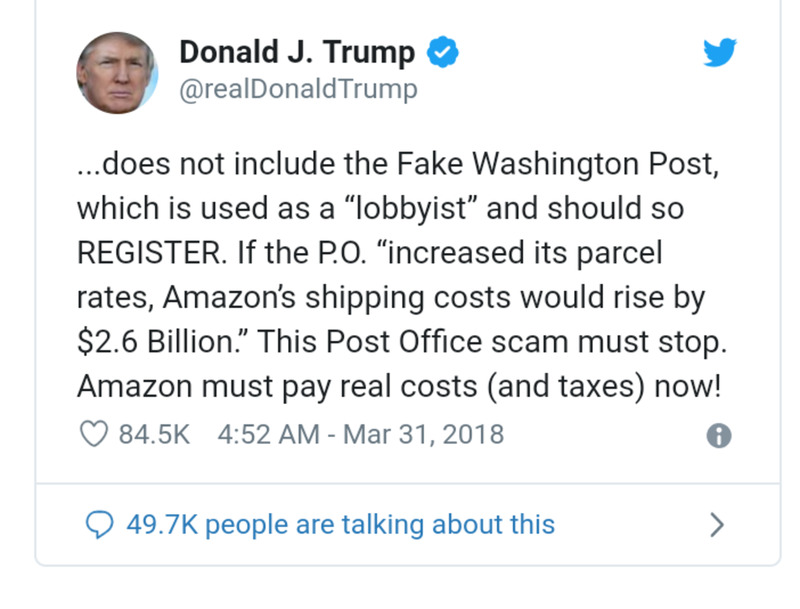 This means that the delivery of smaller parcels is much more cost effective for the postal service than it is for UPS or even Amazon - cheap as the latter's labor costs may be. 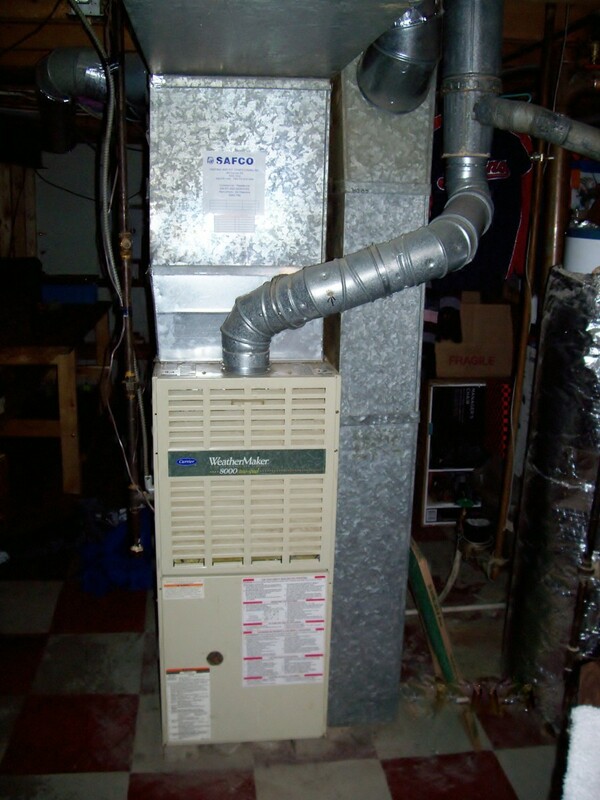 Since the mailman is going to your box anyway, the little guys can hitch a ride for little additional cost and effort. Indeed, Big Brown drop ships a growing amount of its own packages on postal back docks, and Amazon still depends on the USPS to carry the little tykes the last mile. After all, why make a special trip in a big, clunky, hard to park truck for a package that costs five bucks to mail? Finally, the USPS enjoys a special, protected status. The public institution does not answer to stockholders, and therefore is not obligated to consider dividend payments and multi-million bonuses to corporate chiefs when calculating shipping rates. UPS has bemoaned the fairness of this competitive advantage, but the fate of the postal service has been battled around in Congress and the American people have decided on that floor to continue to enjoy the benefits of low-cost, six day delivery. 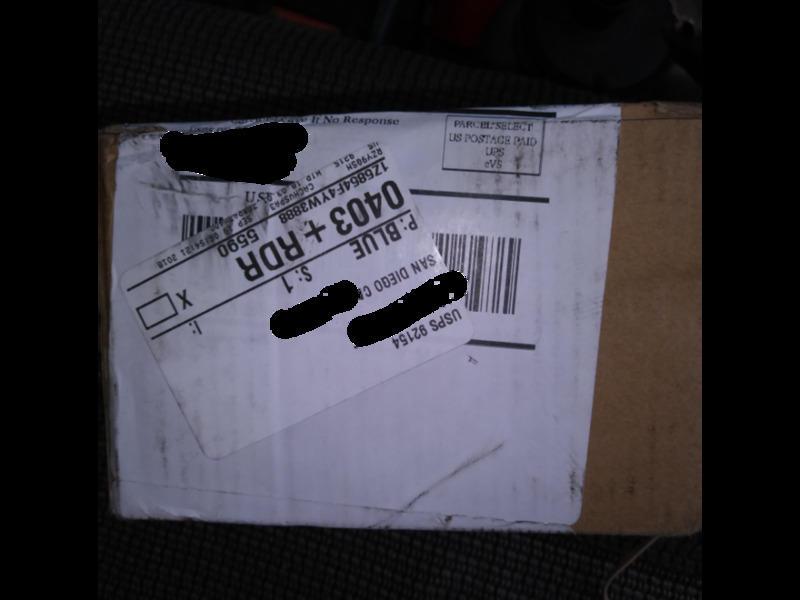 It would appear that the USPS-Amazon divorce has been carried out amicably, with complete visitation rights with small-parcel children of the affair that still show up in America's mailboxes. But will the long, ominous shadow of Jeff Bezos completely envelope and eventually consume Big Brown? Furthermore, is UPS actively aiding and abetting its own demise? History points out the ultimate dangers of doing business with Amazon, a company that is equally ruthless about destroying enemies and allies alike. As a case in point, around the turn of the millennium Amazon entered into a partnership with mega bookseller Borders Group. As part of the agreement, Borders agreed to redirect its online book sells to Amazon.com, a move that proved disastrous. A Time magazine article states that "...relinquishing control to another company hurt Borders’ branding strategies and cut into its customer base." The seemingly unassailable Borders, with over 500 superstores nationwide, went straight to the same cemetery where cheerful, whistling gravedigger Jeff Bezos is even now digging holes to receive the cold corpses of Sears, and perhaps United Parcel Service. A similar fate was suffered by Circuit City, a company founded in 1949 that entered into a similarly ill-fated cyber-partnership with Amazon, one that eventually ended with its big red plug storefront disappearing from shopping centers everywhere. Borders and Circuit City, then, are two victims of direct dealings with the Amazon devil, but there are innumerable brick and mortar retailers who, though wise enough to avoid the direct leprous touch of Jeff Bezos, have nonetheless succumbed to the epidemic of which he is the principal vector, simply because they could not effectively implement an online presence as powerful as his. The United States Postal Service seems to have dodged a bullet surviving its toxic partnership with Amazon, largely for the reasons bulleted in the previous section. United Parcel Service, on the other hand, appears to be engaging in the same business practices that eventually led to the downfall of Borders and Circuit City - cutting its customer base by delivering its products into the hands of a competitor. Surprisingly, this adversary is not Amazon, but drop ship partner USPS. In this fashion UPS prostitutes its brand name every day, saving money in the short term by utilizing postal every door delivery, but perhaps, over the long run, causing loyal UPS customers to cut out the middleman altogether and save money by shipping directly with USPS. This strange bedfellows relationship is dubbed Surepost, but the only thing sure about it is that it is rather silly to pay UPS double to mail a package, instead of driving it straight to the Post Office, who is probably going to deliver it anyway. Inadvertently or purposely, The USPS has taken a page from the Amazon playbook and is using it to drive a nail into the UPS coffin that greedy gravedigger Bezos eagerly awaits, there in his boneyard of broken business icons. The bankruptcy of established giants such as Sears teaches that no matter how mighty, no one is too big to fall, and that while navigating past the ever shifting sands of the Amazon riverbed, companies have to continually readjust their strategies and reinvent themselves to keep pace. In 2008, UPS-sponsored racehorse Big Brown provided a dire prophecy for how quickly a cocky thoroughbred can vanish into the back of the pack. The colt and the company became so inextricably fused that the jockey even wore a brown UPS cap. 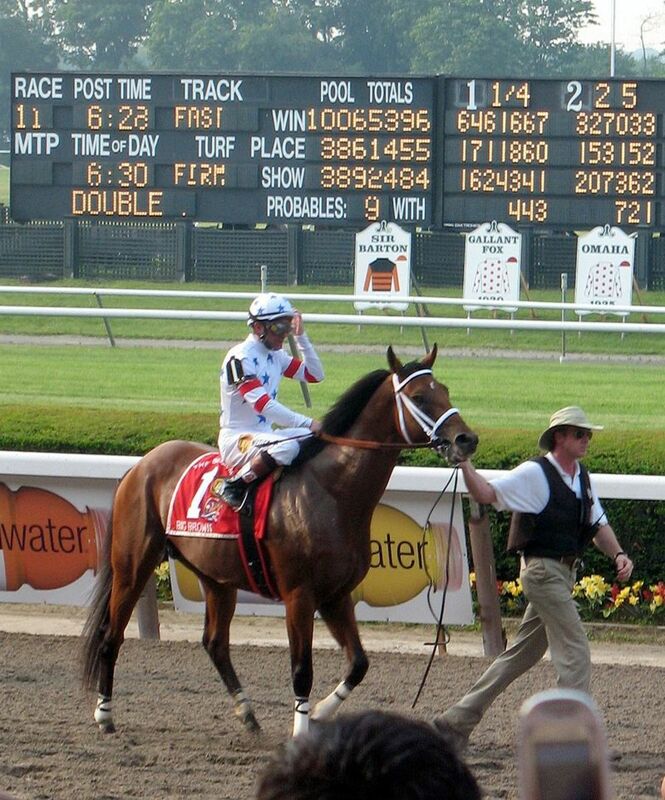 Promising right out of the gate, the horse nearly pulled off the biggest coup in horse racing, almost winning the Triple Crown by roaring to victory in the Kentucky Derby and Preakness. But then, in the final leg of the Belmont Stakes, Big Brown failed to respond midway and did not finish the race, leaving horse racing pundits scratching their heads, wondering how such an epic collapse was possible. In the Amazon age, failure to respond has been the downfall of many a seemingly invincible company. Unknown upstarts constantly appear down the backstretch and leave champions eating dust. 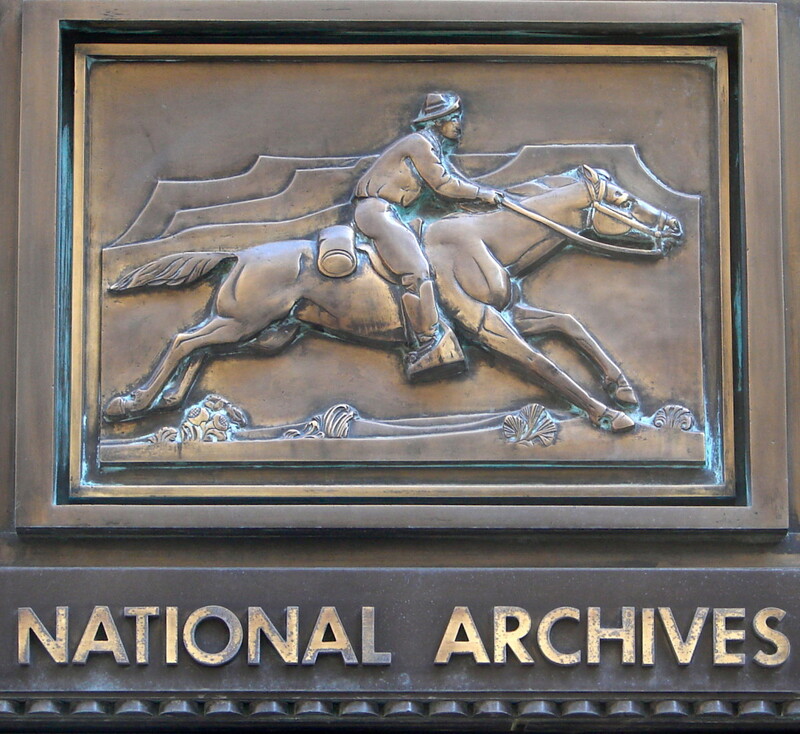 Like its famous horse, we will see whether United Parcel Service is to be put out to pasture, or if the horse can be urged into a renewed burst of speed, going neck and neck with a foe that tramples rivals on the way to the winners circle. Thank you Linda. So good to hear from an old friend. I hope you are doing well. To be fair, John, I believe Bezos is paying his Amazon employees 15 an hour now, but I think most of his drivers are subcontracted out, so they are making closer to that 12 you speak of. You get what you pay for. I could go on all day about my personal experiences with Amazon drivers. Maybe that's the subject of another hub. Thanks for reading. Thank you so much Jennifer for the encouraging words. I wish you would write more, because you come up with some pretty compelling stuff yourself. Ha ha, of course I read the whole article, Mel! Your writing is so compelling and I wouldn't want to miss any of the Easter eggs that you hide throughout. I can't respond to everything in the article, because then it would take me as long to write the comment as it took you to write the article. Plus, you are clearly much more knowledgeable about this topic than I am, which is why you, and not I, wrote the article. So I just pick out one or two things and react to them. That's usually how I roll. This is a very informative article, Mel. Thanks for sharing the interesting analysis. I can't say I don't shop at Amazon, Mills, nor can I say that Amazon does anything that is more evil than anybody else except play the game better than anyone else. 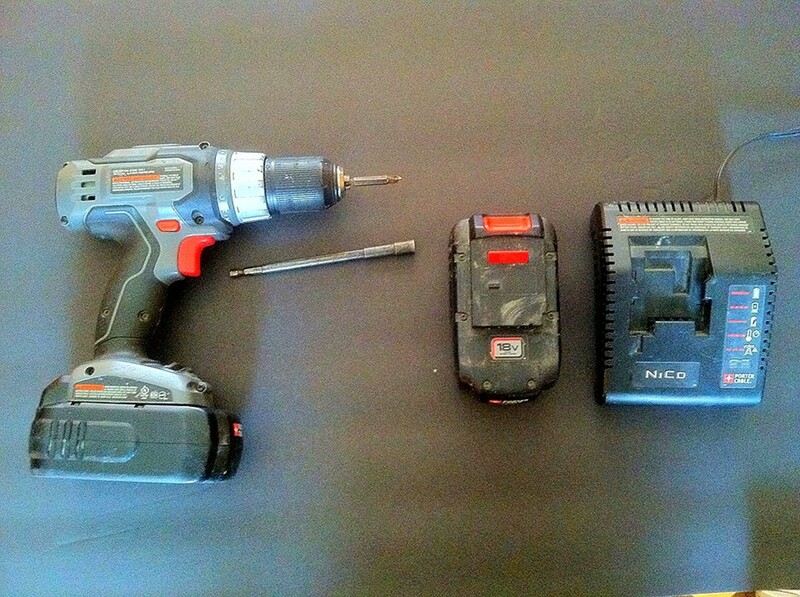 All I am saying is that companies have to adapt, and UPS may be too old and clunky to do so now. Thanks for reading. I don't shop at Amazon unless I have a gift card, or deal with a vendor in their Marketplace. Other vendors match the efforts of Amazon, and if they partner with a place like MyPoints, I can earn rewards Amazon wouldn't deign to offer. I will continue to do things to bring UPS and the USPS (and even FedEx Ground) to my home with packages. As for Sears, I think their days are numbered, in spite of Eddie Lampert. Thank you Devika. I am afraid the sanctity of Sunday is a thing of the past. Although it is a very reliable delivery service that I often use myself, Amazon has ushered in a new era in which commerce supersedes every other aspect of life. I appreciate you dropping in. You shared an informative hub on the challenging effort of UPS and other companies. Sunday deliveries should be put on hold for a working day. Thanks James. You may be right about Sears and Circuit City collapsing without Amazon, but I think the agony would have been prolonged. I appreciate you reading. I believe the first UPS debacle was 2013, Jennifer, but there have been repeat performances since. As far as working on Sunday, I protest like you but it doesn't surprise me because nothing is sacred this day and age. Case in point - Black Friday and everyone working Christmas. All of our holidays have been desecrated, why not the Sabbath. I thank you for your nice comments. It sounds like you might have actually read a significant part of the article, and I appreciate that. Wow, what a great article. So many (classical?) allusions. So ... Amazon is ... Cthulhu? The Hydra? The anti-Santa (Krampus, perhaps?) 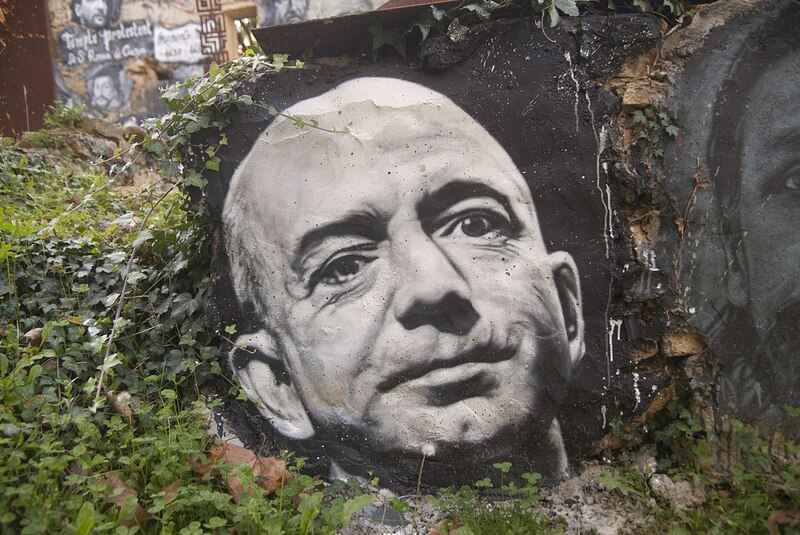 And in the picture above, Jeff Bezos is ... Big Brother? Or, based on the ivy, the Green Man? I would like to ask which Christmas it was when UPS got overwhelmed by packages and dropped the ball. Was it this past one, Christmas 2018? Or is that a trade secret? Have to admit I like being able to use Amazon to shop, but I did used to hate it when the packages always seemed to arrive on Sunday. Just to get what I need, I now have to be party to making some poor carrier work on the Sabbath? Impressive analysis of the carrier business industry. Having said that, I believe Sears and Circuit City would've been toast Amazon or not. Interesting read.